There are multiple methods for traveling around Europe, but what is the cheapest option? To help you plan your trip, we’ve compared three of the most popular options — train, automobile, and plane. We’ve created a sample itinerary that includes some of the most popular European destinations. We’ve also tried to include the hidden costs like gas, tolls, and airport transfers. Many budget travelers get caught up on choosing the absolute cheapest transportation option, but you have to remember that your time is also valuable. It may make more sense to spend an extra 30€ on a plane ticket if it saves you 10 hours of travel time compared to using the train. Europe’s train network is extensive and nearly every town and city is connected by rail. If your train journey is less than six to eight hours, then the train is normally the best choice. There are also many overnight long-distance routes, which can be a good option since you sleep on the train. There are multiple budget airlines in Europe, so it’s pretty easy to find cheap airfare between destinations. If the train journey is going to take more than eight hours, I recommend looking into flying. Flying is often the cheapest option for medium- to long-distance travel. But don’t forget to add in the extra cost and travel time of getting to the airport. This can add an extra 8€-25€ and 2+ hours to the journey. Pricing car travel can be a bit tricky since there are so many variables (and hidden fees). The biggest problem arises if you drop your rental car in a different country from where you picked it up. Car rental companies often charge anywhere from 100€-300€ for this ‘convenience.’ This poses a big problem if you want to make a lot of point-to-point trips to different countries since you will have to pay this large fee each time you drop the car off. If you’re doing a grand European tour, it might make the most financial sense to rent a single car for your entire trip so you only get charged a single fee for dropping it off in another country (or you can have your trip end in the same country you rented the car in). But keep in mind that parking in European cities is not only difficult, but it can get very expensive. I know in Paris a spot in a garage can easily run 20€-30€ per 24 hours, but you can often save a lot of money by parking just outside the city. A car is a great option if you want to explore small towns and the European countryside. For example, when we visited the Normandy region of France, we discovered that the only way to visit was via car. Any other option simple wasn’t possible. The sample itinerary below starts in Paris and goes through Brussels, Bruges, Amsterdam, Berlin, Prague, Munich, Interlaken, Lyon, and finally ends in Madrid. I started this itinerary on May 29th, 2013 and it ends July 8th, 2013. I found these prices online on May 1st, 2013, so these are typical prices if you booked between 3-13 weeks before the travel dates. Train: For the train, I used each country’s individual rail site to get the price. For more information about train travel, see our guide to using trains in Europe. Plane: I found airfare through Skyscanner.com. For more information about finding the best airfare, check out our guide to air travel in Europe. Car: The car pricing was a bit more complicated. 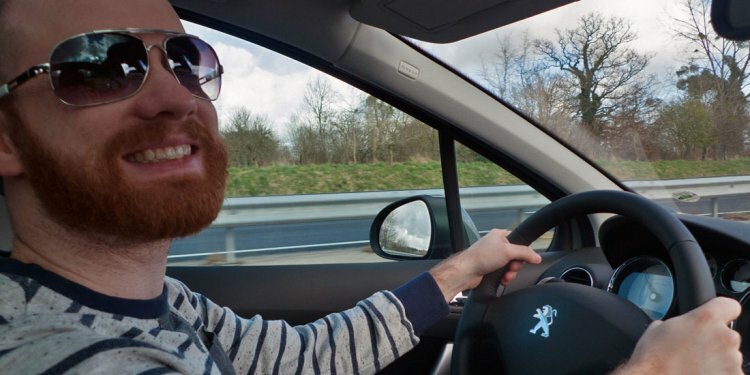 Doing point-to-point car rentals for the entire trip will be very expensive since you’ll get charged an extra 100€-300€ each time you drop your car off in a different country. If you were to rent a car from May 29th to July 8th (as per my example below, starting in Paris and ending in Madrid) it would cost about 1100€ — This price does not include gas, tolls, or parking. I included the estimated price for gasoline and tolls for each leg of the journey in the example below. I used ViaMichelin.com to find these costs. Note: Transportation costs do change based on how early and what time of year you book. Train and plane prices also fluctuate based on their departure time. For example, desirable departure times are often more expensive than the early 6am departures.